¡Feliz cumpleaños, Andrew Lloyd Webber! El compositor de mayor éxito en la Historia del teatro musical cumple hoy 70 años. Bonnie Tyler, Glenn Slater, Norm Lewis, Peter Jöback y otros grandísimos artistas se unen a nuestra celebración para desearle un muy feliz aniversario al autor de algunos de los montajes más populares de las últimas décadas. 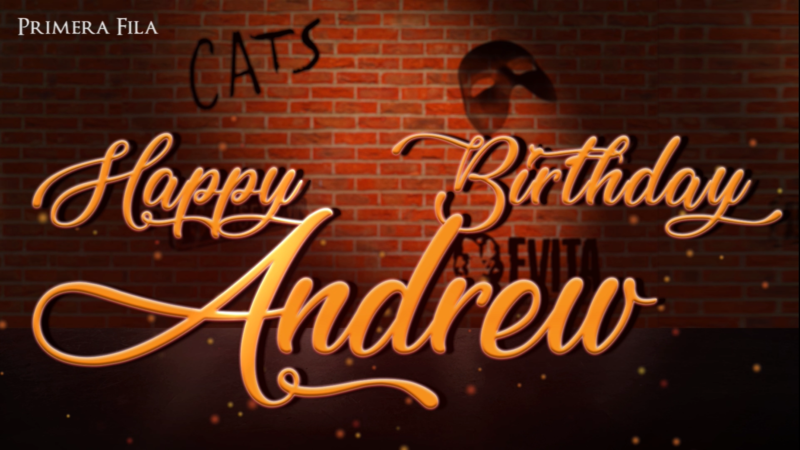 Happy Birthday, Andrew Lloyd Webber! The most succesful composer in Musical Theatre History is turning 70 years today. Bonnie Tyler, Glenn Slater, Norm Lewis, Peter Jöback and more other great artists have joined our celebration, to wish a very happy birthday to the author of some of the most popular shows in the last decades.